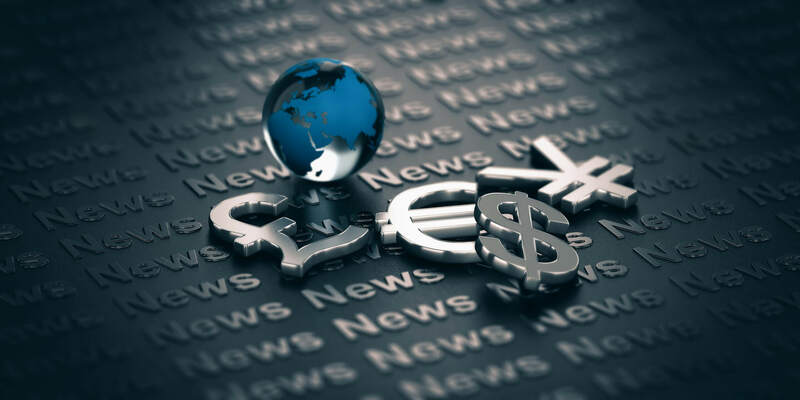 One of the surest forex news trading strategies is trading on the news. Forex markets almost invariably react to certain types of news, although the reaction can be unexpected. With experience, however, Forex news trading offers an excellent trading strategy. What kinds of news move the forex markets? First, you have to realize that 90 percent of all forex trades involve the dollar in one way or another. So news affecting the dollar, and its parent country the US, is always likely to send a currency pair up or down. The most basic forex news is that which directly affects the currency itself – the Federal Reserve, which controls the money supply in the US, will announce every month an interest-rate decision – whether to raise interest rates, or to reduce them, or to leave them as they are. Analysts will discuss ahead of the decision what changes it will make in the economy and for the dollar itself. It’s never entirely obvious: A higher rate of interest should make the dollar more valuable, but if analysts think the national economy will suffer as a result of the move, the dollar could fall. You have to learn as much as you can about how forex traders react in these circumstances, for it is the big institutional traders like banks and brokerages that will move in unison, sending the market up or down. Remember that a vast amount of forex news trading is automated, and so the movement will be massive and rapid. The best way to learn about this kind of forex trading is to watch the forex news every day, and then see what happens on the market. You can’t be sure what will happen, but you can reduce the probability of being wrong by a vast amount. But suppose there was a way for you to win regardless of which direction the trade goes? There is a simple, straightforward way to bet going up or going down: The Straddle Trade. Aptly named, the time to use the straddle trade is when you know some big forex news is coming out, but you aren’t sure what the market will do. This could be something as simple as a central bank announcement, but also something complex like the menace of impeachment for the president, a significant business failure, or the announcement that the GDP is up for the quarter (if it’s not up enough to satisfy traders, the currency could fall). So the first thing to do is to decide what currency pair you will trade on the news and then look at the range between its recent high and low. Traders recommend that you do this about 20 minutes ahead of the forex news announcement. You should realize that, the narrower the range, the better the chance that there will be a substantial breakout in one direction or the other. Taking the range points as your targets, you set the stop 20 pips below and the profit-take 20 points above these target points. In this way, you are betting on a higher or lower movement. It doesn’t matter which way the market goes, one of your trades will make a profit, while the other will be stopped out before doing much damage. A more efficient and profitable way to make this kind of trade is to buy a put and a call option on the same currency pair – this may be possible through your forex broker. The put option bets that the price will go down and the call option puts the money on the price going up. Both the put and the call options must be purchased at the same price and have the same expiration date to be effective. So long as either method for the trade is correctly exercised, the Straddle Trade can be very profitable indeed, while the threat of loss is contained. It is a safe bet that a currency pair will move after major forex news, and one option will gain faster than the other loses. One leg of the straddle will lose up to its limit, but the other leg will continue to gain, resulting in an overall profit. Of course, it is possible that the currency pair simply does not move much in either direction, regardless of the probability. It happens, and in this case, each leg of the straddle loses. But the stop-loss on the two trades (or the price of the options if you buy a put and call), are the limits on losses in this worst-case scenario. Forex news trading is simple, effective and can be profitable. Add it to your arsenal of forex trading strategies, and use it when it feels like the right time.